An end of season service to maintain & protect your pressure washer. The EZ Care Fall Pressure Washer service insures that your power washer is protected from freezing temperatures that can blow out pump seals resulting in expensive pump replacement. Servicing the presure washer at end of the season means that you'll be ready when spring arrives. your pressure washer to the shop because Pickup and Delivery is included. Offer good for Pressure Washers dropped off between October 1st thru November 15th. Here's a detailed video on how to winterrize a pressure washer if you want to do it yourself. We stock the spark plug, oil, pump saver, and fuel stabilizer you'll need to complete the job. 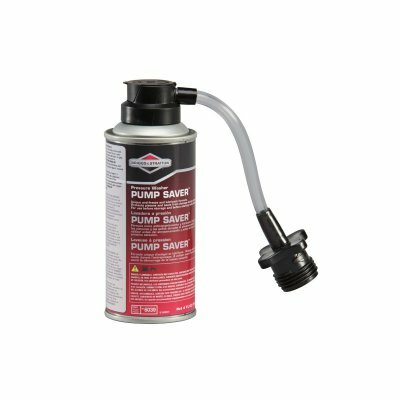 Protects the pistons of your pressure washer pump and seals from freezing. replacement part for pressure washers made by Briggs & Stratton. Thinking of getting a pressure washer? 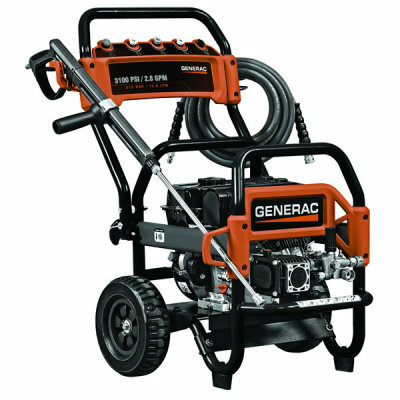 Stop in and see our selection of Generac pressure washers.